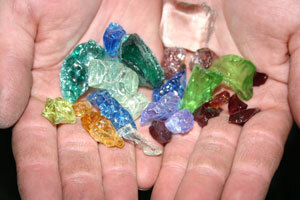 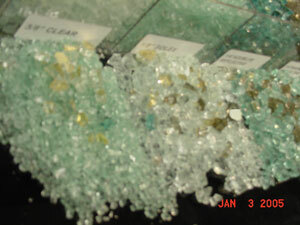 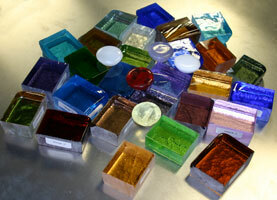 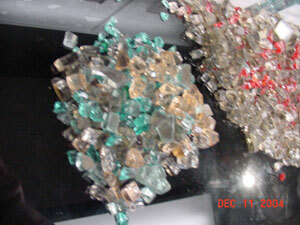 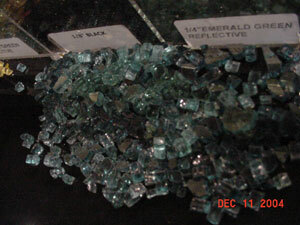 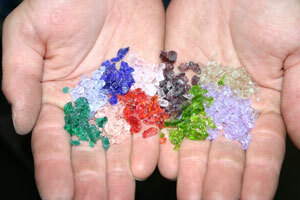 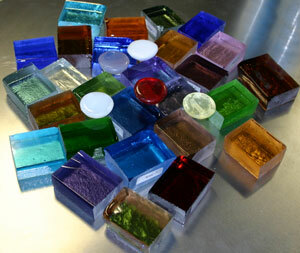 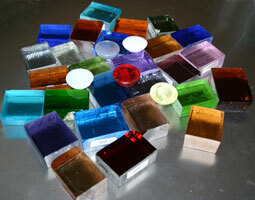 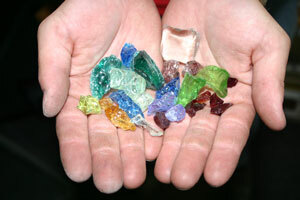 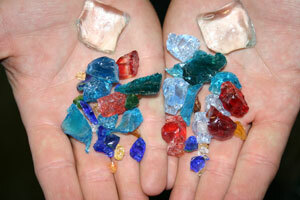 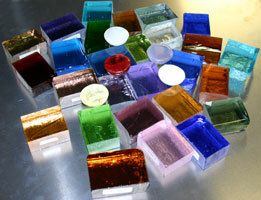 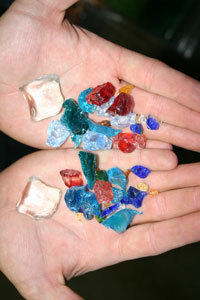 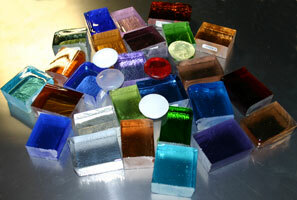 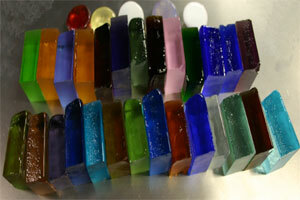 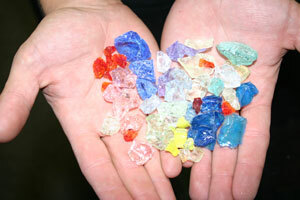 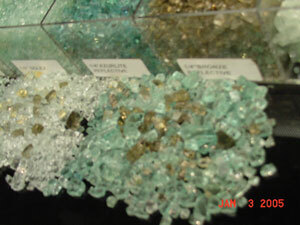 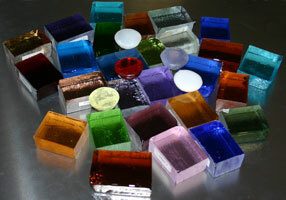 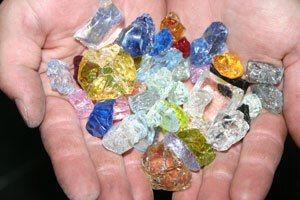 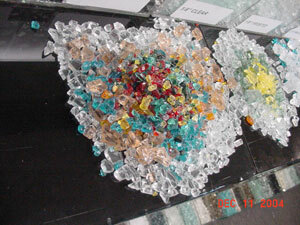 Various colored fireglass mixed for unique fireplace Designs that are affordable. 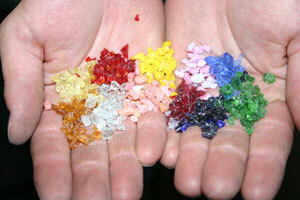 The fire glass below are some of our toppings and as you can see by the shape and colors we do not recycle trash glass (no bottles and jars here). 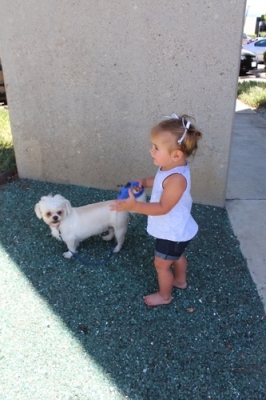 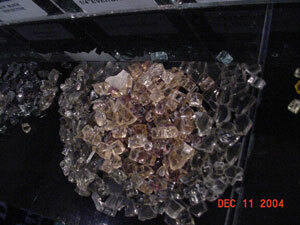 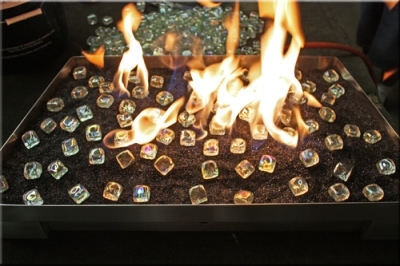 Again our glass is made for this purpose to be used in fireplaces and outdoor fire pits. 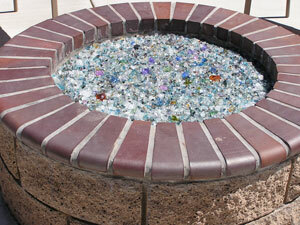 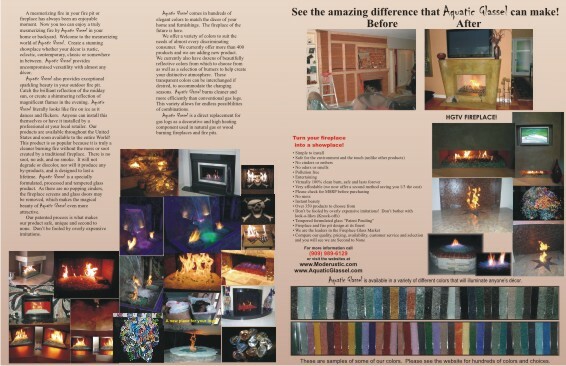 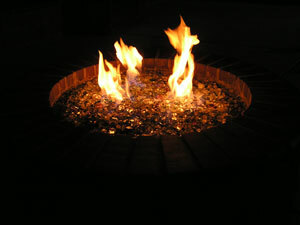 The 4 pictures are of Multi Mix fire glass in a simple but nice fire pit. 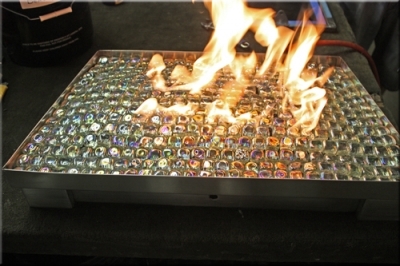 Multi Mix fire glass is off of our test table in the showroom which everyone who comes in can sample mix their fireplace glass and after the table fills up we then have Multi Mix. 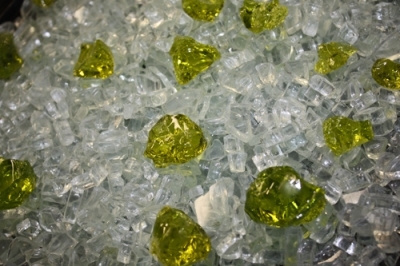 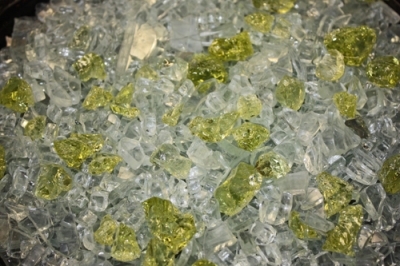 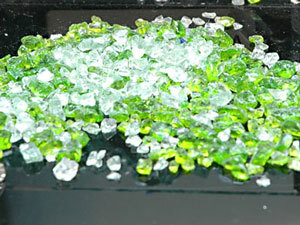 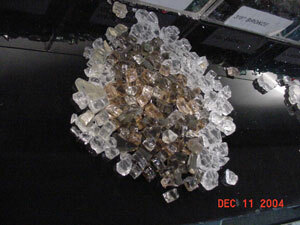 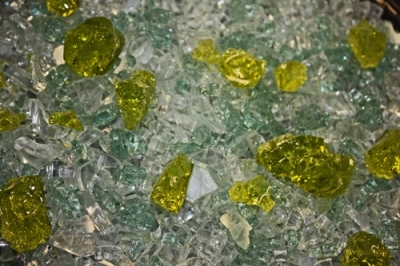 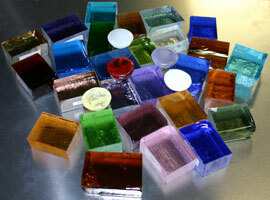 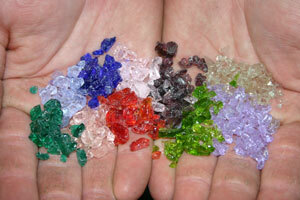 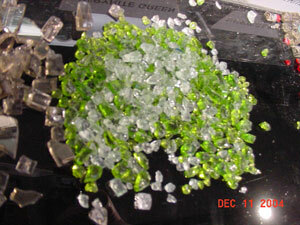 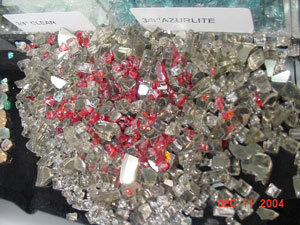 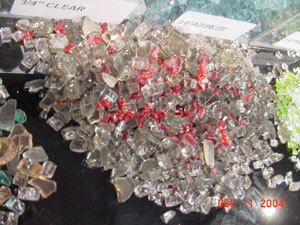 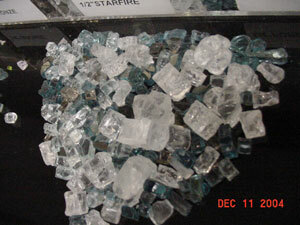 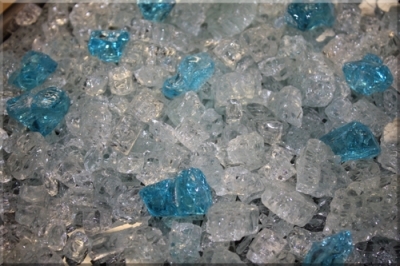 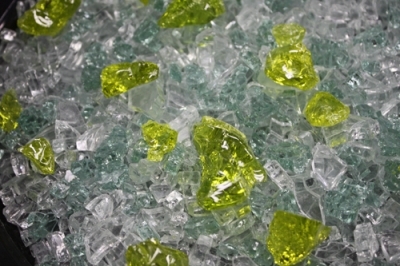 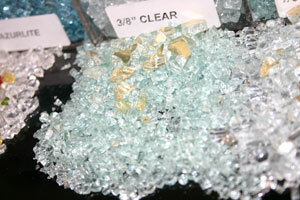 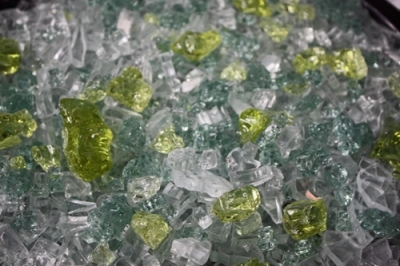 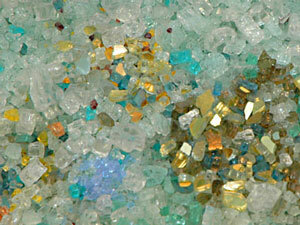 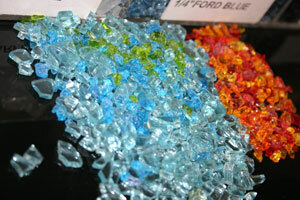 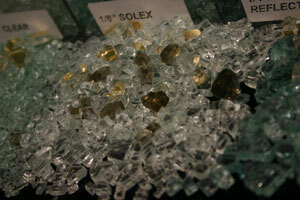 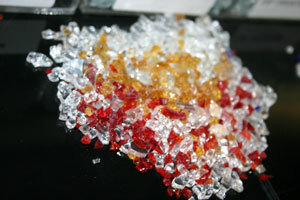 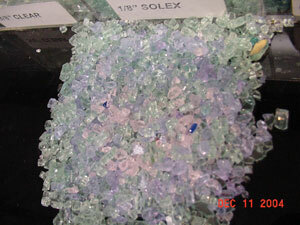 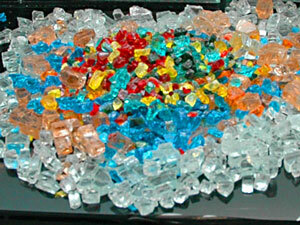 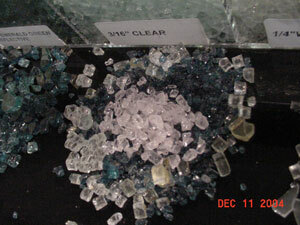 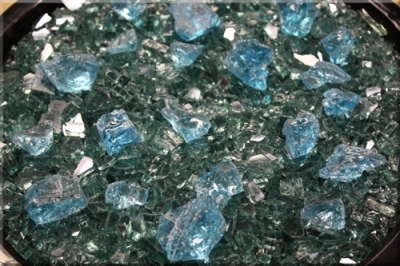 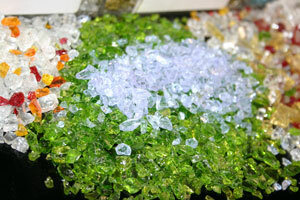 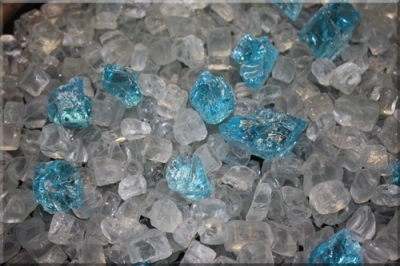 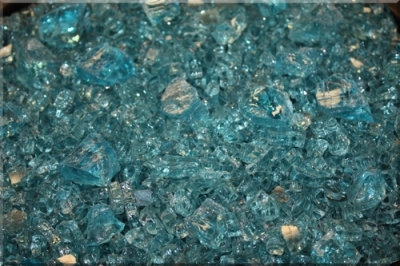 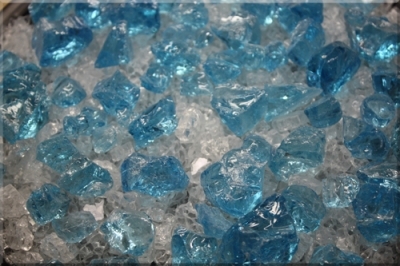 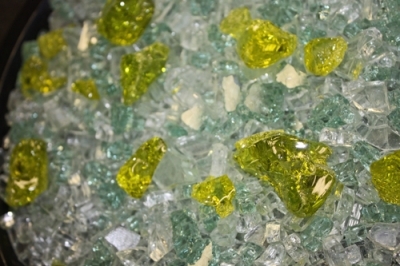 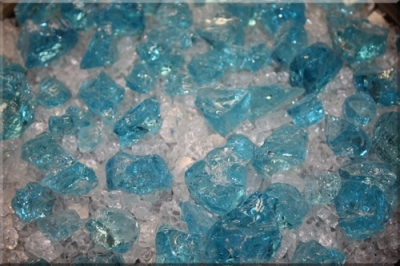 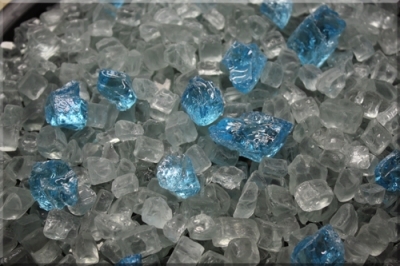 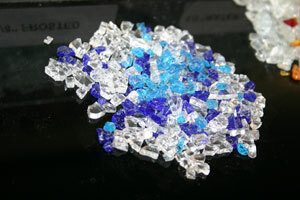 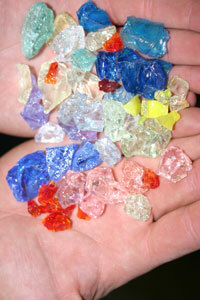 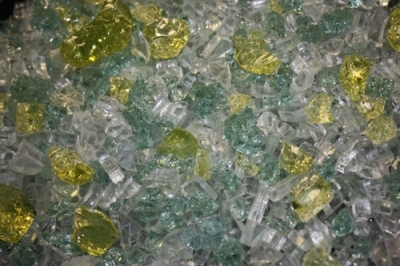 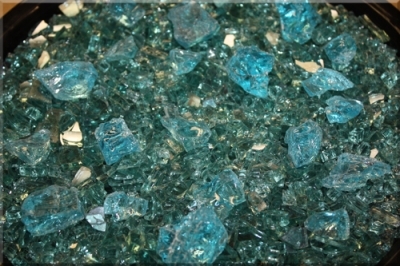 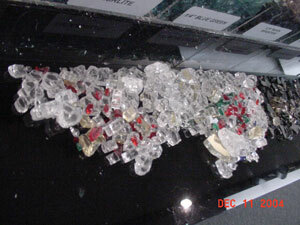 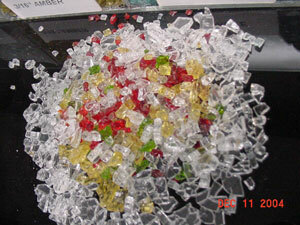 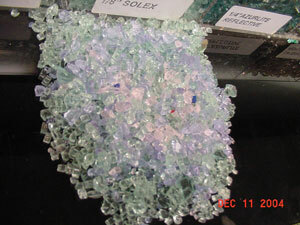 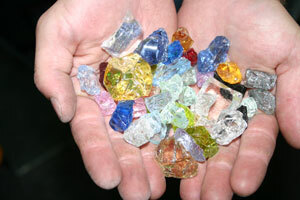 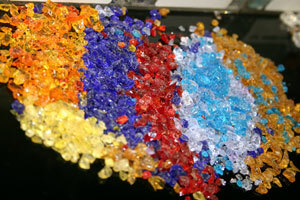 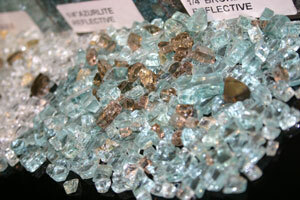 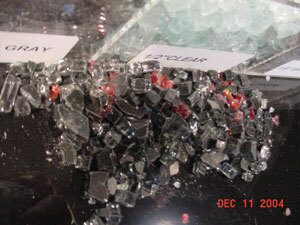 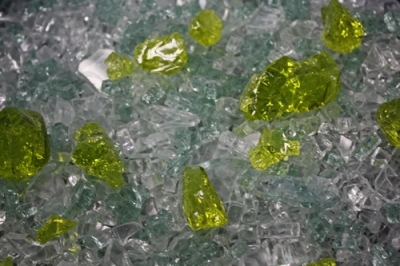 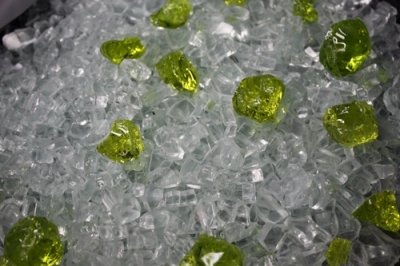 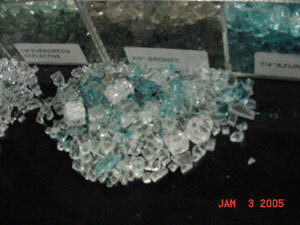 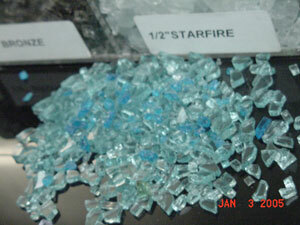 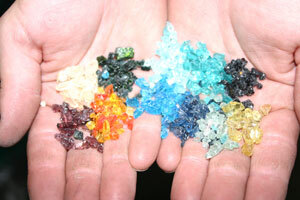 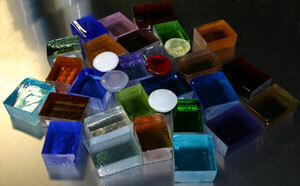 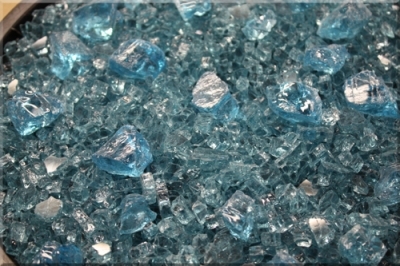 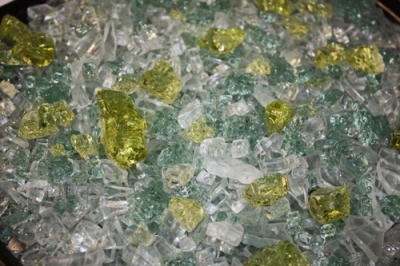 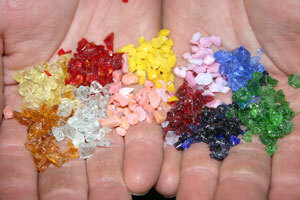 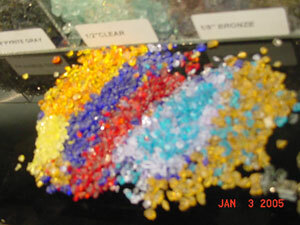 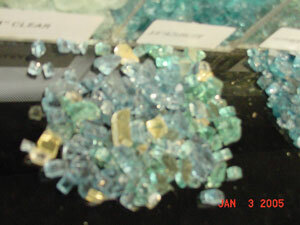 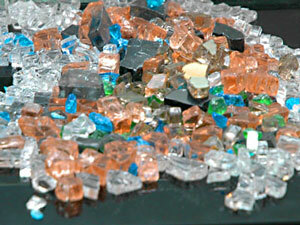 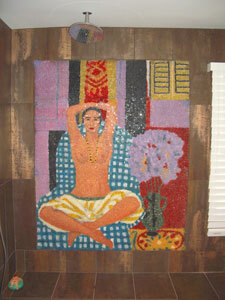 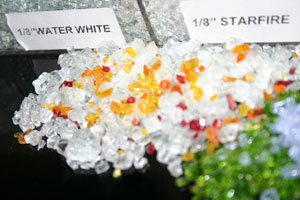 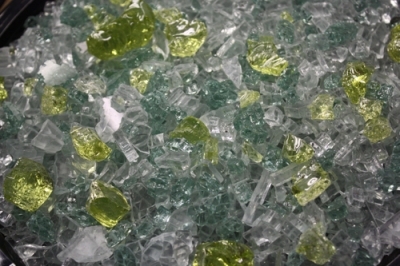 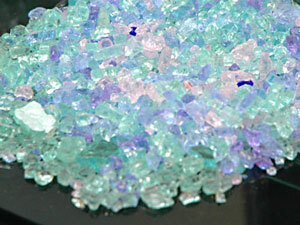 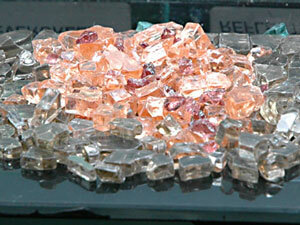 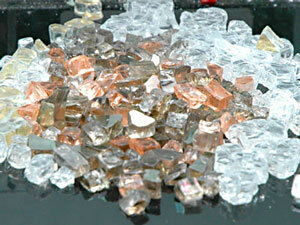 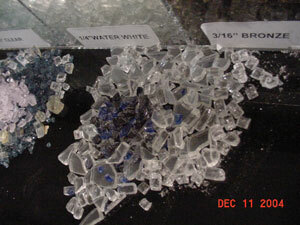 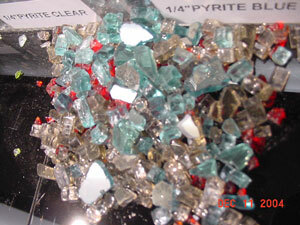 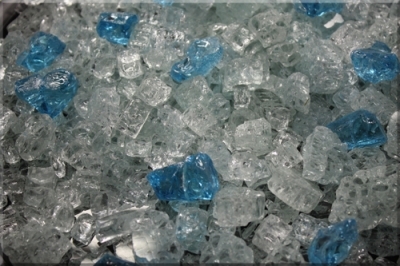 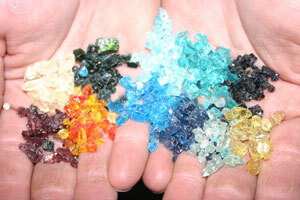 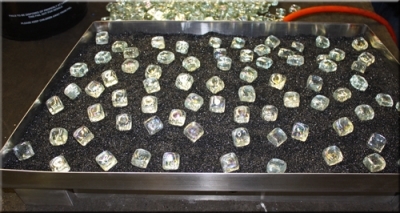 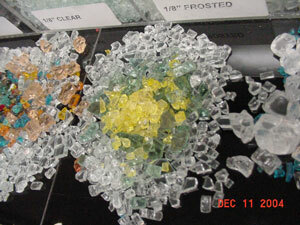 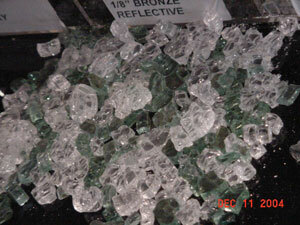 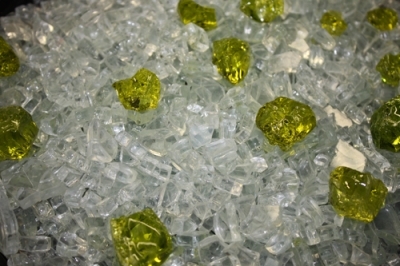 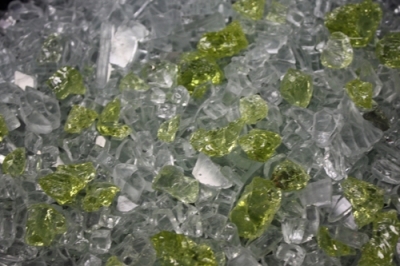 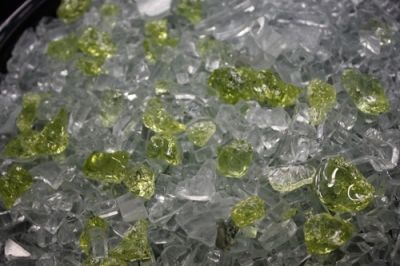 There is usually a lot of expensive Toppers and Toppings in the fire glass Multi Mix. 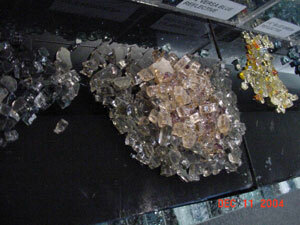 Here are a few pictures of our Toppers before we break them. 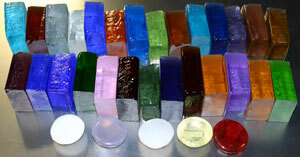 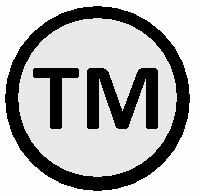 All of our Toppers and Toppings come in billet form at about 1" to 1 1/2" thick. 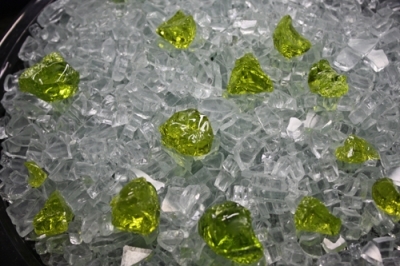 Clear base glass with Lime Green Topper fire glass. 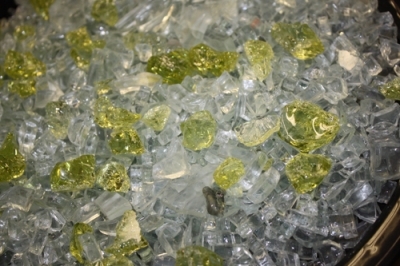 Clear base glass with Pale Olive Green Topper fire glass. 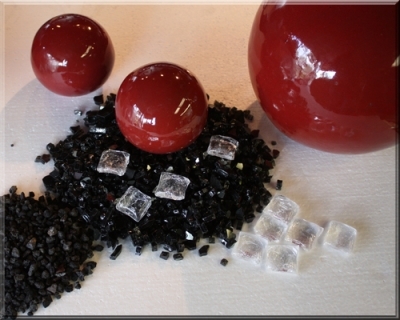 The pictures below are of Black Magic and two different combinations of Ice Cubes fire glass that we took for a customer that wanted to see what it would look like.